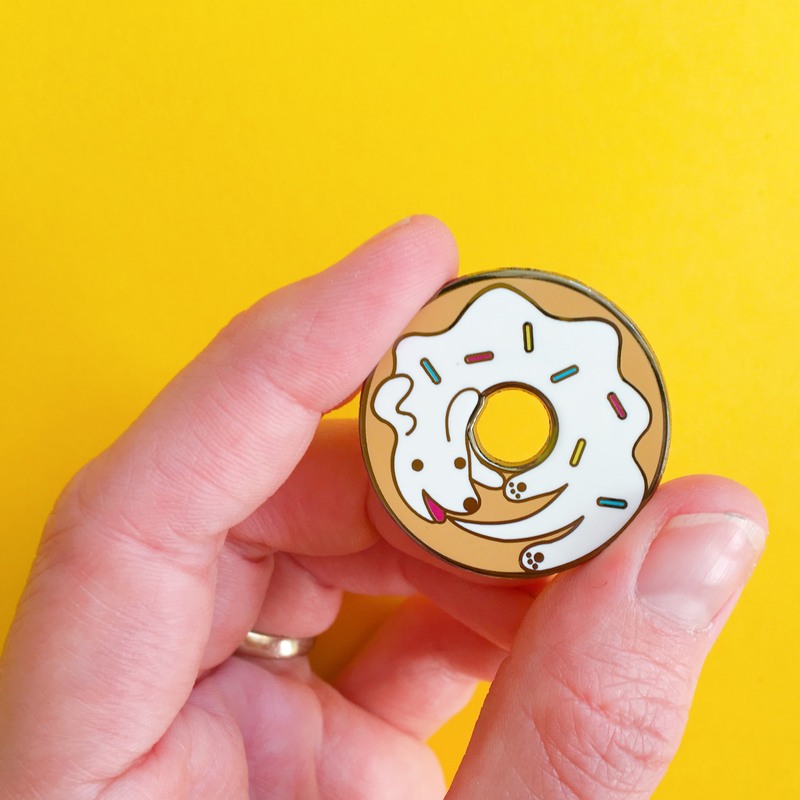 Just a super cute pin combining two of my favourite things in the whole world; dogs and doughnuts! It is approximately 30mm x 30mm big, finished in hard enamel, with a nickel plating and two rubber clutches to stop it spinning round, round baby right round! 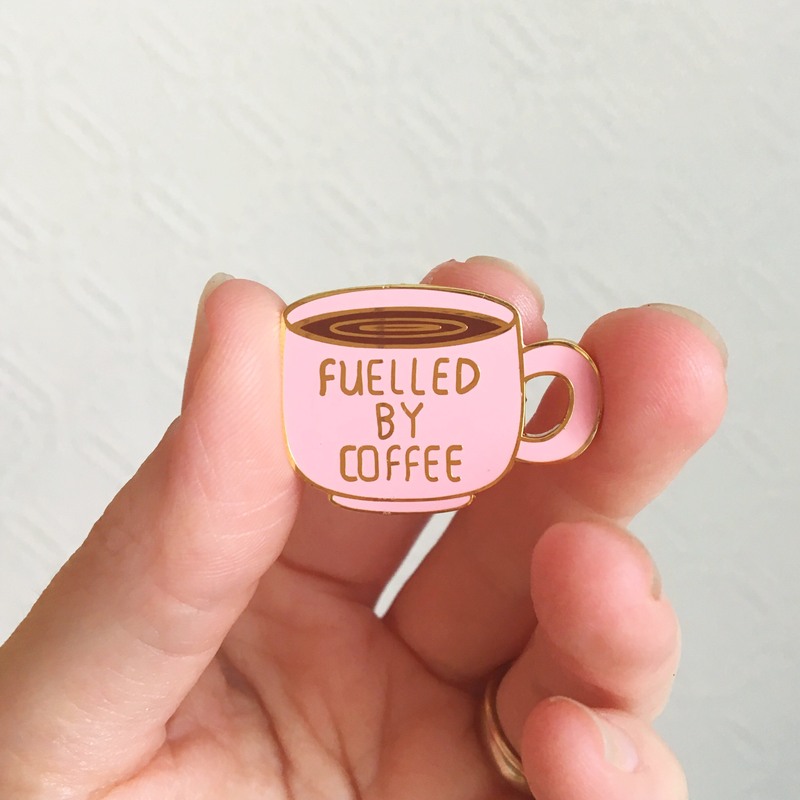 All pins come on their own branded backing card and are beautifully packaged up to make their journey to your door.